Do we really want ice cream to be this available? This picture was taken at a local elementary school… Gotta love the image of the skateboarder being ridiculously active at the bottom, which of course makes it all okay. 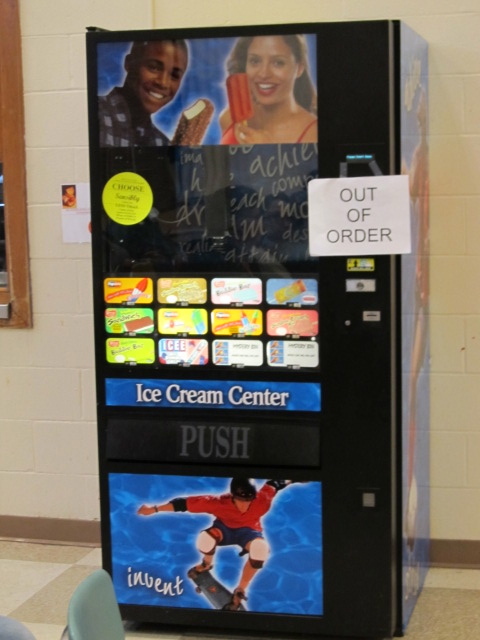 At least the machine is out of order! You are currently reading A Year Of No Sugar: Postscript 4 at Eve O. Schaub.